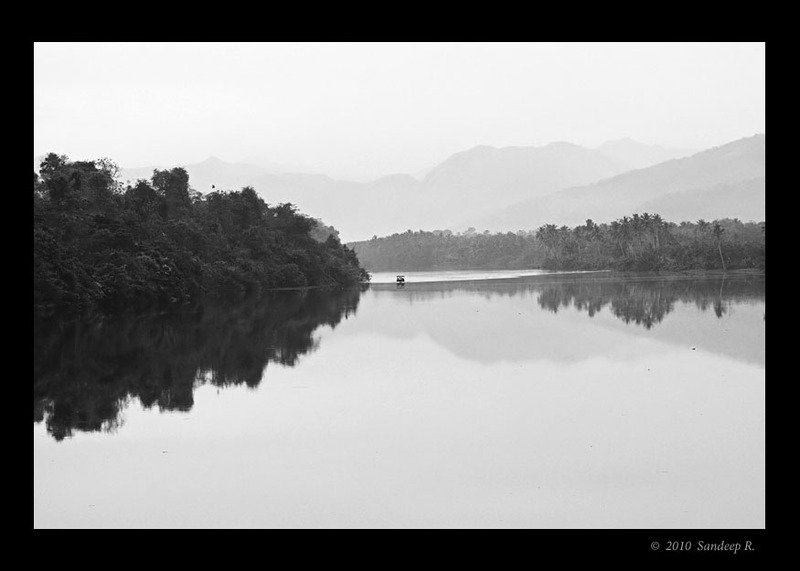 Nestled on the banks of river Periyar, Thattekad is home to a variety of resident endemic and winter migratory birds. Amogh, Anush, Deepa and I spent 3 days in Thattekad with god-of-thattekad, Eldhose, as our guide. 5:15pm – Train from Bangalore city. This is how crazy the trip was. On reaching Thattekad, Eldhose took us to Spurfowl area before we could check into our room. After spurfowls, we went to Salim Ali bird sanctuary in the hope of sighting a Black Baza. 3-4km walk, but no Baza. 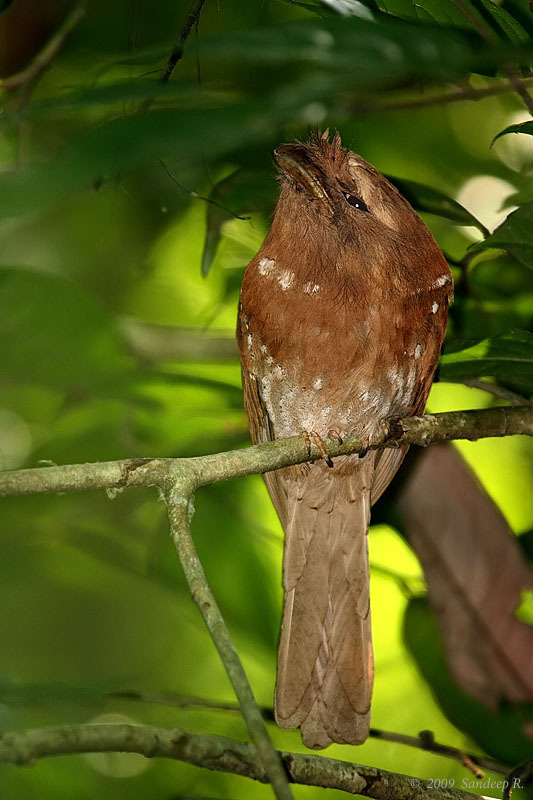 Ceylon Frogmouth, a nocturnal bird, that had not been sighted since Salim Ali, only to be rediscovered in 2000 by Eldhose was a treat to watch. Spend 3 hours at Thattekad resort, and headed to ‘flycatcher area’ by 3 pm. Trekking through rubber plantations and forest area, we reached the famed waterhole. 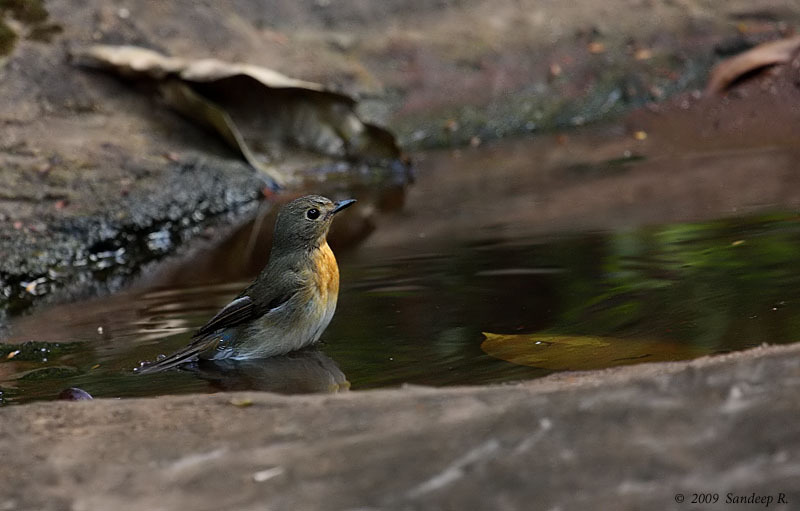 Spent couple of hours without much action, but then as the light faded those small and beautiful flycatchers made appearances. Could make only terrible images, but I enjoyed the variety of birds sighted. Next day morning, woke up at 3:30am. Yes, you read it right – 3:30am. A short drive, and 15-20minutes walk on moonless pitch-dark reserve forest area. We were looking for rare Owls, Spot-bellied eagle Owl and Oriental Bay Owl particularly, but neither was seen. As the sun rose, lots of other birds started their daily routine – Crimson backed Sunbird, Hill Mynas, Asian Fairy Blue Bird, Small and Scarlett Minivets. Plenty! We even saw a Bay-Banded Cuckoo. 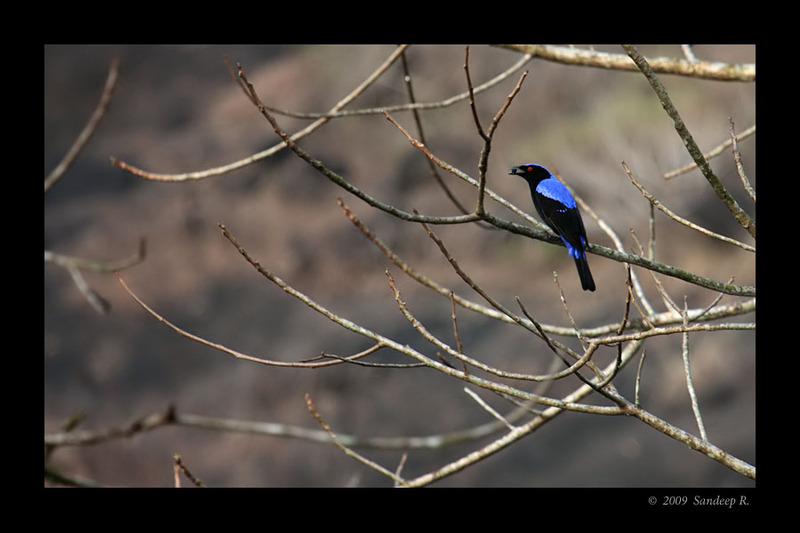 In the evening, we sighted a flock of Black-throated Munias, but was really difficult to get a photograph. 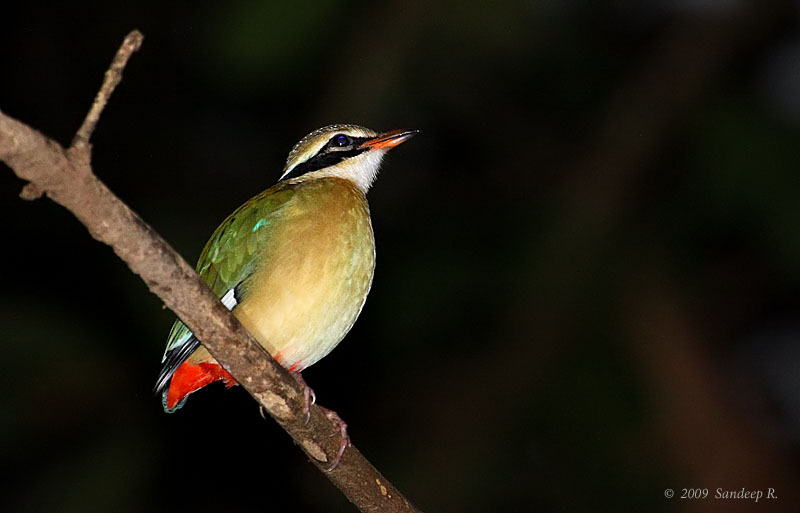 Late evening, Eldhose took to Pitta area. Amogh and I had not seen a Pitta. We were excited. Waited for an hour for the beautiful bird to make appearance. It was pretty dark at 6:20, and fill-in flash helped make some decent image. Jerdon’s Nightjar was the next bird sighted at about 7:30pm, and it was totally dark. I could not get even a record shot. Next day morning, photographed the Brown-Hawk Owl that perches at the same place, perhaps for a few years now, and left for Cochin and then to Bangalore. Eldhose was a fantastic guide to have for two days. Thanks to Anush. great trip report. Getting up at 3.30am…. good passion. Do we have more Picture to see . I have always heard great things about Thattekad. It is on my list of places to go next year. The frogmouth is such a funny looking bird. This one looks huge compared to what we saw in Dandeli!! The Pitta looks pretty and the frogmouth looks content! Loved the image of Pitta, nice light. We are planning to visit Thattekad.Can you give eldhose’s contact details? Can we please get the contact number of Mr. Eldhose as we are planning to go to Thattekad on 30/09/2012?